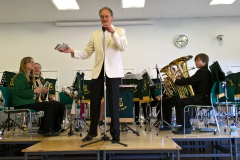 We have an active junior section which meets at 7:15 pm for practice at Union Corner Hall most Tuesdays prior to the senior section band practice, with junior players welcome to continue practice with the senior band at 8:00 pm typically until 9:00 pm once they have gained confidence and an understanding of the basics. We even have a selection of spare instruments available to lend to get new players started. 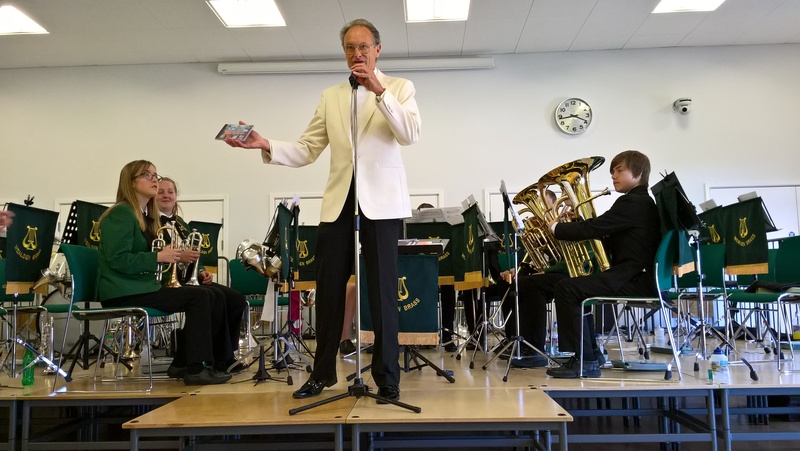 Over the past few years we have also developed links with our local college, Hailsham Community College, with a small number of band members regularly attending the school to support band practices. It is amazing to see how junior members have increased in confidence as players over the time that thay have been involved with the group. This has culminated in several very successful joint concerts. A few photographs and videos are shown below.